Episode 12 of the Mid-American Gardener Podcast is now available, and you don’t want to miss this one! This week, the brand-spanking new permanent host of the Mid-American Gardener TV show, Tinisha Shade-Spain, joins your host Victoria Shepherd. 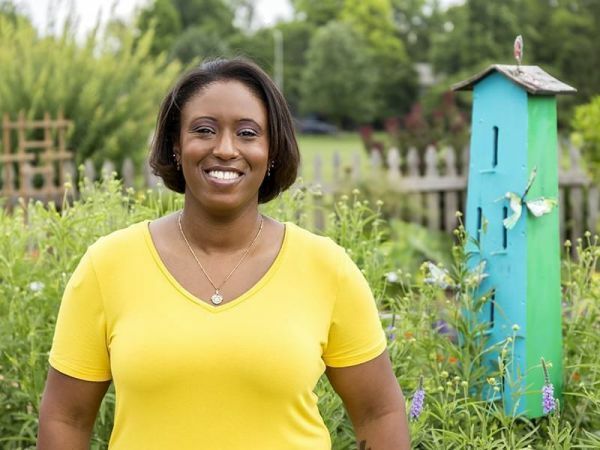 From veggies and flowers, to hornworms and chickens, Tinisha shares her passion for gardening, as well as details of her background and life growing up in Vermilion County. Tinisha has already begun to observe the program from behind the scenes in preparation for her official, on-camera introduction during the show on Thursday, June 28. Her first show as the host of Mid-American Gardener will be July 12.